The national carrier of the Sultanate of Oman will fly from Muscat to Singapore and Goa from the 29th of March and to Dhaka as from August 2015. 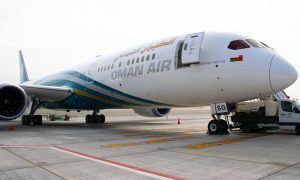 “We are delighted to be opening up new routes to Singapore, Goa and Dhaka, and to be offering our customers even more choice within Oman Air’s continually expanding network. We know there is strong demand for flights to each of these destinations. We are therefore very confident that the new services will prove extremely popular and I would encourage customers to book as early as possible. The city-state of Singapore lies off the southern tip of the Malay Peninsula, just 137km north of the equator. Long recognised as one of the great global financial and commercial hubs, Singapore also offers leisure travellers a wealth of attractions and activities. These range from some of world’s finest hotels and a vast array of restaurants, to nature reserves, historical buildings and Buddhist temples. Oman Air’s new Airbus A330 service between Muscat to Singapore will operate daily. Overlooking the Arabian Sea on the western coast of India, Goa’s unspoiled beaches, temples, mosques and wildlife sanctuaries, together with its Portugese-influenced Indian culture entwine to offer travellers a unique experience. 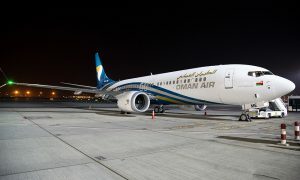 Oman Air’s new service, operated using spacious and comfortable Boeing 737 aircraft, will offer four flights per week between Muscat International Airport and Goa International Airport. Dhaka is the capital of Bangladesh and, with more than 15 million inhabitants is country’s most populous city. It constitutes the political, cultural and scientific heart of the nation, and plays a central role in the Bangladeshi economy, alongside the port city of Chittagong, to which Oman Air also flies. 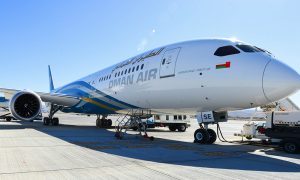 Oman Air’s new service, operated using its flagship A330 aircraft, will offer four flights per week between Muscat International Airport and Hazrat Shahjalal International Airport.